Should I Buy the Outback, Santa Fe or CX-5? — Auto Expert by John Cadogan - save thousands on your next new car! It's very difficult to make a wrong choice in this set of vehicles. Here are what I view as the relative pros and cons (objectively) but please bear in mind a lot of making the right choice here will be your own personal preferences. Subaru does some things very well - symmetrical AWD is excellent in the wet and on unsealed roads. The diesel is a good engine - it's a horizontally opposed configuration ('boxer') as opposed to inline, and that keeps the front end's mass centre low, as well as keeping the bonnet line low. It's probably not the most attractive car on the road, but this is of course in the eye of the beholder. Subaru's quality control is excellent, but the warranty isn't as good as Hyundai's. 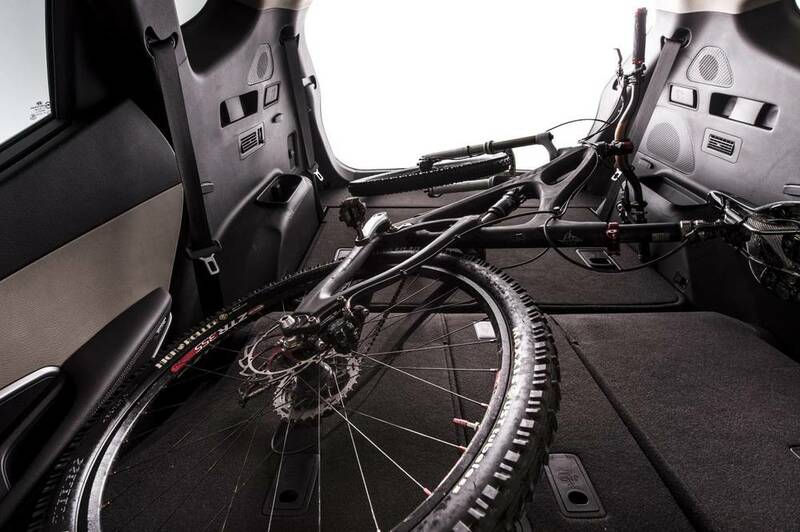 The Outback is quite car-like to drive and isn't as high as the CX-5 and Santa Fe - so, among other things it's easier to wash the roof (because it's a little lower) but the absolute height of the cargo space probably isn't as great as the CX-5 or the Santa Fe. A great vehicle. Strong diesel engine. Long warranty (5yr/unlimited kilometres). It also looks great. Brilliant seven-seat configuration: the third row disappears into the floor brilliantly when not required, leaving an unobstructed cargo space and a flat loading floor. Personally I hate the left footrest for the driver - a throwback to the previos model, to achieve the required clearance for the (American-spec) foot-operated parking brake. Upmarket Santa Fe models get an electronic parking brake, but the low-spec ones get the pedal - hence the too-low footrest remains. There's a bit of a question-mark over Hyundai's panorama glass roof durability at the moment, but this applies only to the premium model, which they call a Highlander. If it is any consolation, I think the current media coverage will force Hyundai to lift its customer service game considerably, and that's a good thing for buyers. See more about the Hyundai shattering sunroof problem here. One is Korean, with a long warranty and an epic diesel. The other is Japanese and has brilliant petrol power. What's the pick? There is a significant Santa Fe discount opportunity now. Sales are under immense pressure - a real opportunity for you to save serious cash. Should I Buy a Hyundai Santa Fe 7 Seater SUV? The Hyundai Santa Fe is tremendous value and a great performer. For mainstream seven-seater buyers I don't believe there is a better alternatives SUV. This vehicle is not on your list, but it should be - it shares the Santa Fe's design fundamentals (floorpan and drivetrain, etc) because Hyundai and Kia are flipsides of the same coin. They share R&D and components, but try to keep the brands separate. Same warranty, same underlying technology. This is a really good little SUV - it's slightly smaller than the Santa Fe & Sorento. Good driving dynamics, good economy. Back to a three-year/100,000km warranty (like the Subaru) but sensational underlying packaging/tech and very impressive for the money. You might also be interested in this video (below) which I did for Overlander magazine - it was shot before the current Santa Fe/Sorento was available but you'll find the expert commentary on the vehicles interesting. Everyone loved the CX-5. Will my Mazda CX-5 holds its resale value? 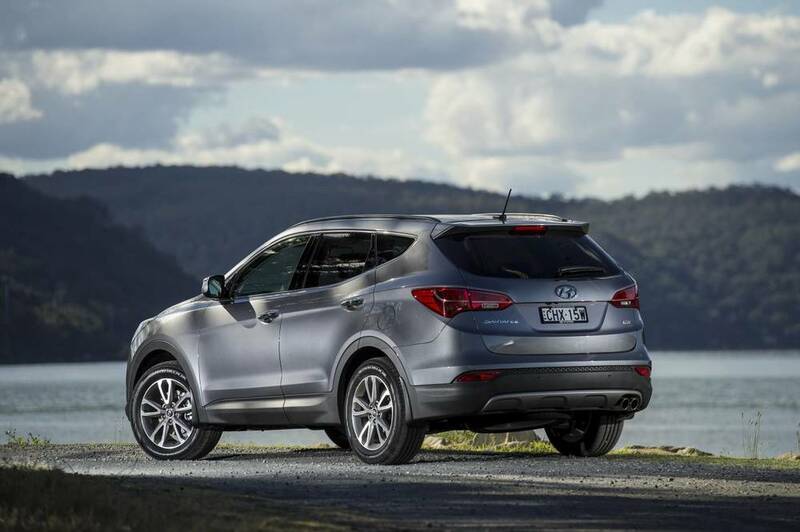 How does Australia's top-selling medium SUV hold up in the resale value stakes? Is popularity a good thing for retained value over time? The CX-5 is Australia's top-selling SUV, but this review is completely impartial - so you can make an informed decision about whether to buy one. What Five-seat SUV Should I Buy? I am in the market for an SUV for a growing family. I have a 2.5 year old who soon will need a booster seat and potentially having another baby in the next year or so. I need an SUV that will be suitable for an elderly lady and two yound adults + 1 child + baby. When you've made your choice, get a quote on the vehicle from a dealer. See my video on how to beat a car dealer below. Read the full story on dealing with dealers here. When you're ready to buy, drop me another line via the contact form on the website and I'll get you in touch with the brokerage - they can potentially save you thousands on the new acquisition, no matter where you live, simply because of their bulk-buying power and preferential access to the dealer network. It's always best to have a specific vehicle and spec level in mind, right down to preferred colour(s) and options - this is the point where the broker can get to work and really save you serious coin. I have a car buyer's economic forecast for 2014 video, below, as well if that's of interest. A car broker can assist you in trading in your used car. Find out how here >> I'm presuming yours is the first of the fifth-generation Outbacks, the MY10 released in September 2009. Called an Outback R (not the premium). List price about $48,490 back then. Industry reference guide Redbook says the trade-in is likely to be about $22,200 at the top of the range (as yours in is great condition you might even get a little more) and the private sale price you're likely to realise is about $25,600 - possibly a little more. Are Automatic Engine Stop/Start Systems a Joke?